The Royal Australian Fleet Auxiliary (RAFA) collier Biloela was laid down at Cockatoo Island Dockyard, Sydney on 21 October 1918 and launched less then six months later by Mrs King-Salter; wife of the dockyard manager. Her name meant cockatoo in the local indigenous language and had also been the original name of Cockatoo Island. She was, at the time, the largest ship built at the dockyard and also the first ship designed and built entirely of Australian material. Biloela commenced her naval service on 5 July 1920 but was manned by merchant mariners although her officers held RAN reserve commissions. Her main role was to support the Royal Australian Navy (RAN) flagship HMAS Australia, until she was decommissioned in 1921, and the four light cruisers, that all burned coal as fuel, on the Australia Station and on visits to New Guinea and the South West Pacific region. Biloela was a regular visitor Port Kembla where she obtained her coal for use by the RAN. 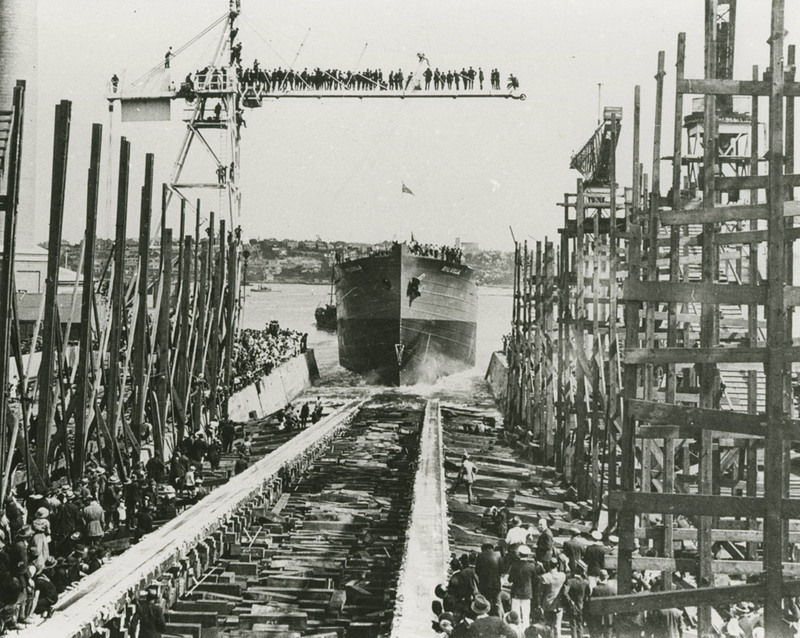 RAFA Biloela being launched at Cockatoo Island Dockyard on 10 April 1919. Apart from providing coal to the warships she also took coal to isolated ports such as Darwin and Thursday Island where it was stored ashore for use by visiting warships. During October 1922, when in Darwin, her crew refused to unload coal due to union bickering in that port and the ships company of the survey vessel HMAS Geranium were required to help local labour unload the coal. Some of Geranium's men were then loaned to Biloela to steam the ship back to Sydney after several of Biloela's crew was discharged in Darwin due to the incident. In late 1923 Biloela towed the coal hulk Hankow to Thursday Island where the hulk was moored and regularly 'topped up' with coal for use by visiting RAN warships. In 1925 she coaled the light cruiser HMAS Brisbane, in northern Australian waters, on the cruisers return from service with the Royal Navy on the China Station. The collier regularly accompanied the light cruisers on visits to New Guinea, the Solomon Islands and the New Hebrides (Vanuatu). During the early 1920s plans were formulated for Biloela's conversion to a seaplane carrier embarking twelve aircraft, but along with a similar plan for RAFA Kurumba the scheme was dropped, as it would divert the ships from their principal task of fleet support. The planned armament of two 4-inch (102mm) guns was never mounted. On 13 October 1927 she sailed to the Solomon Islands to support the cruiser HMAS Adelaide after that ship had sailed, at short notice, due to a request for assistance from the British Government to put down a perceived native uprising in in the British Solomon Islands Protectorate. The uprising was in fact an isolated instance of violence on the island of Malaita and the RAN provided only logistics and communications support ashore to the local constabulary. 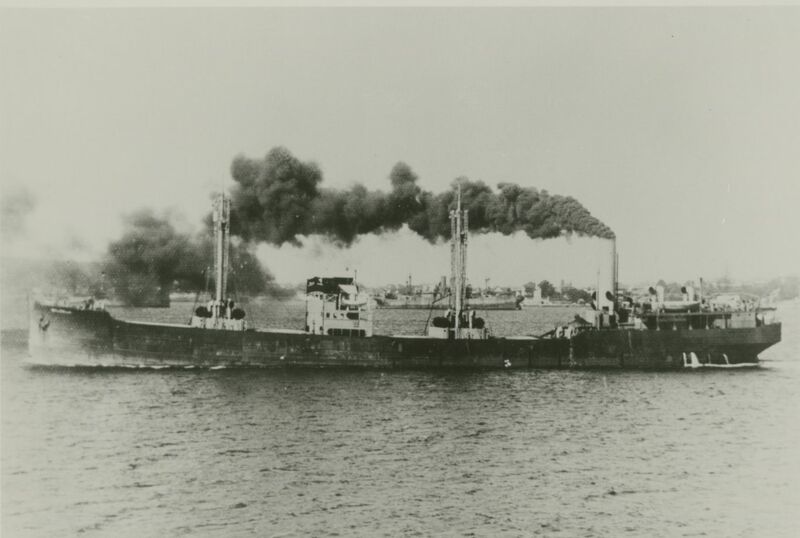 Biloela provided coal to enable Adelaide to steam back to Australia as well as bringing additional food, stores and equipment for use ashore by the cruisers ships company and Solomon Islands police. After her return to Sydney from the Solomon Islands, on 14 November 1927, she was paid off into the reserve fleet. Biloela was sold in March 1931 (for £14,500) and re-named Wollert. 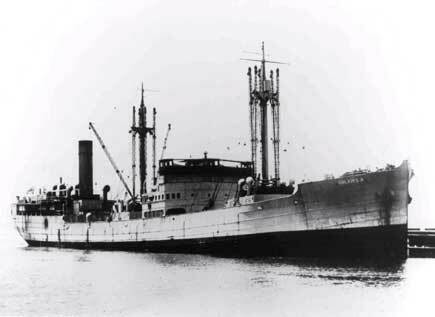 In 1937 the vessel was again re-named as Ivanhoe then Yoh Sing and finally Cree. During World War II she was three times the victim of enemy attacks. On 9 February 1940 she was damaged by German aircraft five miles east of Rattray Head, Scotland and on 26 April 1940 she was again damaged by a mine in position 52 degrees 53 minutes north, 02 degrees 19 minutes east. She was eventually sunk on 21 November 1940 in position 54 degrees 39 minutes north, 18 degrees 50 minutes west (some 360 miles west of Ireland) by U-123 with the loss of her entire crew of 45 men. RAFA Biloela was operated by the Royal Australian Navy as a fleet collier.